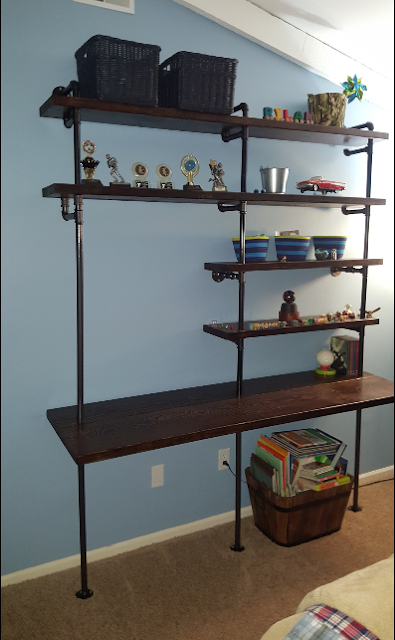 Brian put together this great bookshelf for his son. I think it took him three minutes from receiving the parts. I really like the dark stained wood.